Men and Womens Basketball National Champions!! 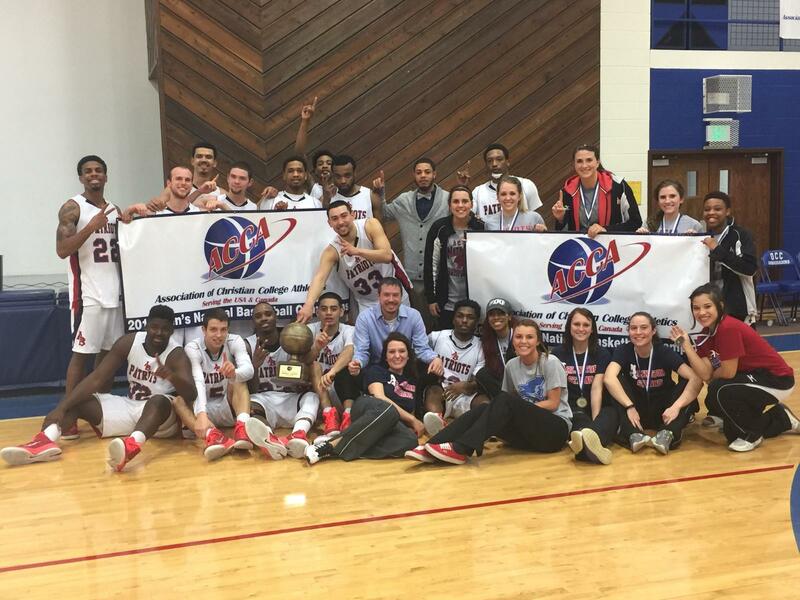 The Men’s Basketball team secured a second straight ACCA National Championship Saturday night in Joplin, Mo. They dominated Faith Baptist Bible College (24-7) from the onset and never slowed down. The final score was 118-102 but the game was never in doubt. In the semi-final game, the Patriots overpowered SW Region foe Hillsdale Baptist 95-77 to avenge an earlier triple overtime loss in the Regional Tournament. 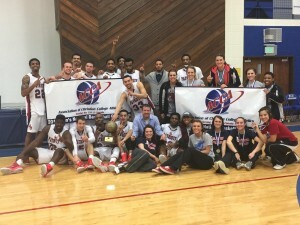 Prior to the men’s game, the Lady Patriots completed a 4 game season sweep over SW Region opponent Hillsdale Baptist Saints by a score of 90-78 to secure their first National Title in school history. This game too was never in doubt as the Lady Patriots controlled the tempo throughout. The Lady Patriot’s are 15-0 vs. NCCAA schools and 26-5 overall. They have one more chance to bring home another National Championship this weekend as they travel back to Joplin, MO. for the NCCAA II National Championships in which they are the #1 seed and have been ranked #1 throughout the season. They hope to avenge last year’s loss in the National Championship game. Lady Patriot Basketball Back2Back2Back Region Champions! 2015 NCCAA II National Champion Lady Patriots ! !